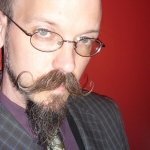 Corvus Elrod, game designer and analyst, joins us for our first recording of 2010 in Episode 028. We talk about the dynamics of tabletop RPGs and board games in comparison to the roles inhabited by players of video games as well as the work Corvus is doing to expand the possibilities of tabletop RPGs with the Honeycomb Engine. Corvus leads us to ponder the emergence of narrative from interpersonal experience when interpreted through game mechanics and the restrictions that traditional applications of these mechanics imply. 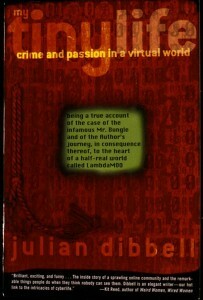 For our 3rd Book Club interview, Episode 027, we’re joined by the author of My Tiny Life, Julian Dibbell. Julian has been writing about technology and game worlds since the early 1990s, and pioneered a form of digital ethnography that has influenced a generation of game writers and journalists. We discussed the early days of online worlds, griefers, meme theory and much more. We also pose tough questions to Julian supplied by McKenzie Wark, Leigh Alexander, and Netwurker Mez. As the FWR crew attends the &Now conference in Buffalo, NY, we’re pleased to release Episode 026 featuring an interview with Ian Bogost. Ian is a writer, developer, and professor and joins us for a conversation on his recent book with previous guest Nick Montfort, Racing the Beam. We also get into his creations at Persuasive Games LLC, as well as his book, Persuasive Games: The Expressive Power of Videogames. We talk about the creative potential of the Atari VCS long after its commercial life cycle, Ian’s experiences teaching games, and the recent closing of Water Cooler Games. Enjoy the latest in our series of interviews, and look for audio from the conference as well as our Book Club episode with Julian Dibbell soon. We are joined for Episode 025 by Erik Loyer of Opertoon. The first Opertoon game, Ruben & Lullaby, was released earlier this year via the iTunes App Store and has received attention for its unique method of narrative delivery and implementation of interactive musical elements. We quiz Erik on the direction of digital narratives, control schemes and their emotional impact, and the potential for music games outside of the Guitar Hero model. Unlike Ruben & Lullaby, there is no possibility that we break up at the end of this episode, even though Shawn does end up shaking Trevor like a snow globe. Thanks to Erik for joining us and thanks for listening. After a long summer break, FWR returns with Episode 024 and guest Sinan Kubba of the Big Red Potion podcast and TheGameReviews.com. We use Trevor’s recent trip to Las Vegas as a jumping off point for a conversation about the culture of gaming establishments, risk and reward systems, and the act of survival as part of an economic gamespace. We talk about the differences between European and North American gambling traditions as well as the portrayals of such games in artistic mediums. Thanks to Sinan for taking the time to join us, and thanks to you for listening. Revisiting some favorite themes, Episode 023 also sees us joined by J Goldberg, Community Manager at Volition. Having recently shipped Red Faction: Guerrilla, J sits down with us for a conversation on open world gaming and the significance of destructible environments (metaphorically as well as mechanically). We also take on fears of simulation and representation, shifting similarities between games and other artistic spaces, and player characters in fictional roles and their importance. Thanks to J, don’t forget about our book club, and enjoy. Episode 022 finds us joined by artist and educator Stephanie Rothenberg for a conversation on the importance of play. Stephanie runs an online training simulator/spoof and a virtual jeans sweatshop, The School of Perpetual Training and Invisible Threads, respectively, allowing us to discuss everything from the effects of varying input methods to the exploitation of the gamer hive mind. We question the necessity of gadget fetishism and the receptivity of the gamer community to criticism, as well as definitions of “play” and “work” and a few things in between. Thanks to Stephanie for joining us, and thanks to you for listening. First and foremost, I need to say that I adore Leigh Alexander and very much consider her a friend of the podcast. She chatted with us a few weeks back about social media, the future of print journalism, and how sentence-and-paragraph writers are quite possibly as important now in the digital age as they have ever been. Alexander consistently creates some of the most thoughtful writing about video games out here on the blogosphere, and she routinely forces me to rethink my attitudes about those who make, play and care about them. A lot of times, these moments are triggered by something that on the surface might initially seem insignificant, but it’s usually the little thing that tends to get stuck in my craw. What can I say, though? I’m a fickle little bird. Fun is almost always the baseline value by which we evaluate something we might call a “video game” (tangentially: if you want to get really semantic about this term, check out the latest episode of Big Red Potion, where Sinan Kubba, Joseph DeLia, Eddie Inzauto and yours truly get into some interesting territory about what we might mean or assume when we use that particular word). By nature, we are creatures who prefer the warm fuzzy over the cold prickly, and activities which require us to focus for long stretches of time and draw more than summary conclusions about what we’ve experienced are made more difficult when we aren’t having a pleasant time doing them. Games and fun might go well together like chocolate and peanut butter, but let’s be careful not to assume that these aren’t incredibly subjective things we’re talking about. And yes, I know all of this nit-pickery about terminology can get incredibly tedious and annoying, but these acts of definition are nevertheless important, because when we talk about games as a medium, we are essentially talking about how game designers communicate ideas through building artistic vehicles for those ideas, as well as how game players receive and react to those ideas. When we whittle these efforts down to whether a game is “fun” or not, a lot can get lost in the trimming. I am lockstep with Alexander in seeking out connections video games have to other artforms. I, too, believe that finding the places where these media (“sources”) intersect (“correspond”) is worthwhile. For me, whether a game is “fun” or not is almost always secondary to me deciphering what it might be trying to tell me, and then deciding what I ultimately think about that particular argument, issue, or aesthetic. How “successful” a game is has everything to do with its coherence as an artistic expression and nothing to do with its NDP numbers. For me, games are an interactive conduit for ideas, arguments and meaning, and “action” is that thought, deed or utterance inspired by the experience of playing the game. 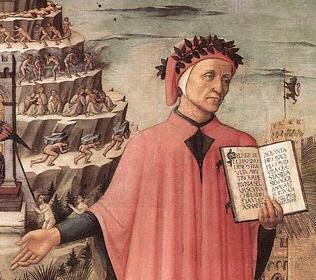 Dante Alighieri’s Commedia is an epic poem written in three sections, Inferno, Purgatory and Paradise. The 33 cantos comprising Inferno are a lavish litany of revenge, and serve to settle a host of scores with his personal enemies. A messy civil turf war in Alighieri’s home city of Florence landed him in exile, and it was during this angry period late in his life that he began constructing his Commedia. He largely created his own game structure in the epic tradition to have his way with political enemies in Florence and Rome. 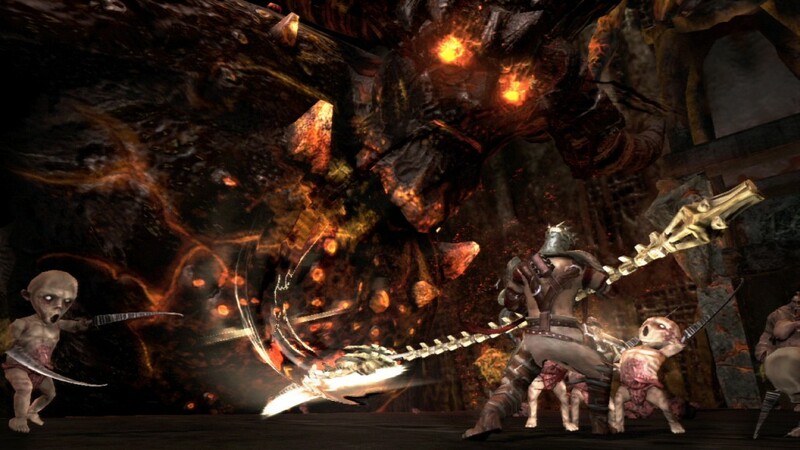 Dante was certainly capable of designing his game in the linguistic engine known then as Latin, but his deliberate choice to cobble together an epic in a new Tuscan-Sicilian engine of his own design, “Italian,” made it clear: he wanted to communicate his ideas to a more diverse audience than what the old engine afforded him. A powerful way to think about his Commedia, then, is as one of Western literature’s most elaborate mods. 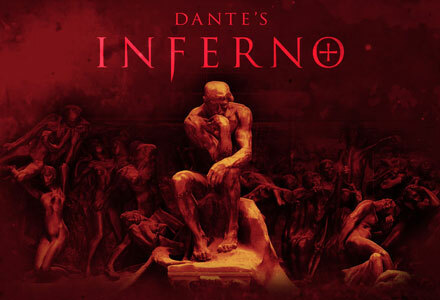 Since Electronic Arts’ attention span for Dante’s Commedia begins and ends with Inferno (dare we imagine what its take on Paradise might look like? ), it’s important to consider the “recognizable symbology and references” from that particular section of the epic that so-called “literature buffs…[will] still get a kick out of.” More precisely, it’s important to consider those references in their proper contexts. This assumes that we are indeed sincere about finding those places where different “cultural sources” do that “correspond” thing they do; of course, part of the problem is we already know that old colloquialism about what an assumption makes out of you and me. Enemies for Alighieri aren’t Beezlebub, Minos or Lucifer, fantastic creatures (with totally awesome dropitems, natch!) who refuse him passage unless he pulls their brains through their noses ala David Jaffe. Enemies for Alighieri have real names, and they’ve committed real crimes, and in his estimation, they deserve real punishments for all of eternity. Where Electronic Arts’ digital Dante is on a collision course with an abstraction called The Devil(TM) (seriously, now, can a game studio ever top the sheer aesthetic and philosophical bliss of Neversoft capping Guitar Hero III with a down and dirty tête-à-tête with “Lou,” that dark prince of psychobilly? ), Alighieri’s conflicts are with real people—chiefly Benedetto Caetani, b/k/a Pope Boniface VIII—who made real enemies through the buying and selling of abstraction itself. See, here’s the rub: to even begin approximating the underpinnings of Alighieri’s 14th century text-based adventure, Dante’s Inferno’s executive producer Jonathan Knight would need to conceive and deliver anti-papist imagery so graphic and severe that Dan Brown’s conspiracy theory novels would truly pale in comparison. But this assumes (there’s that word again…) Knight and his development team at Visceral Games (1) understand Alighieri’s justifications for all the savagery depicted in Inferno and (2) actually care about pulling them all the way into the 21st century; on both counts, this could be assuming far too much. That he would supplement the “literary experience” (meaning…???) “with fighting” demonstrates a fundamental misunderstanding about Dante Alighieri’s agenda as a game designer. His Commedia—and especially the 33 cantos he called Inferno—is pure agon. It is The Fight itself, given body and force through text. If there is fantasy in Dante’s epic, it is very much a fantasy of the real; if there is insanity, it is only so due to patience and lucidity. If you thought the Catholic League came unhinged over Kevin Smith’s Dogma, just imagine their reaction to a video game wherein the player-interactor willfullly exacts corporal punishment upon a pope. And this, friends (for you are truly a friend if you’re still reading this…), is part of the reason why venturing into that wasteland of conversation titled/trademarked When Will Video Games Have Their Citizen Kane Moment? is still largely a waste of time. For Orson Welles, making Kane wasn’t about exercising a studio’s intellectual property rights, but exorcising his personal political demons. Kane is a work of art perfectly and hermetically sealed within its historical moment, yet it’s an expression so precise, poisonous and personal that its angry energy still infects us, a white dwarf high-beaming us from light years away. 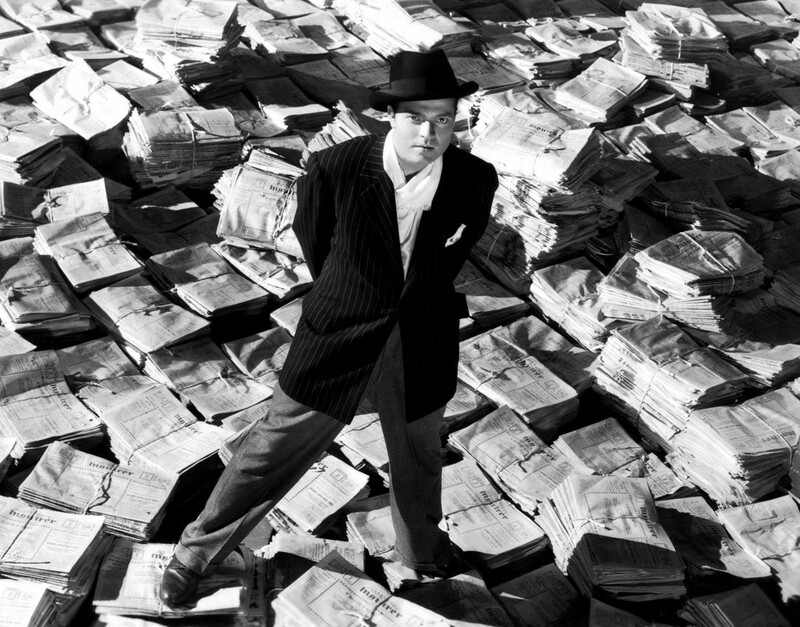 Like Virgil and Dante, Welles’s voice refused to be ignored (which has to be disappointing for Knight, probably. One should just be able to listen to what they want, right?) because of its arrogance, audacity and white-hot brilliance, and he himself suffered great injury for his inability to darken or cool it. (Adding insult to injury, Welles’s original negative of the film was lost in a fire at his Spanish villa in the 1970s.) Art endures, convulsive, twisting itself into the future. Not unlike the film industry during Hollywood’s Golden Age, the video game industry has a pantheon of studio-beholden stars who make compelling work, but still work that is primarily (a lot of times only) produced to be consumed, not considered. And frequently the attempt to seriously consider these expressions is met with that familiar anti-intellectual ditty titled “Oh Let It Go Already, It’s Just A (insert medium here)!” As much as we might try to convince ourselves otherwise, we do not live an age of ideas or even an age of information. We are living in The Age Of [Anti-]Intellectual Property(TM). And but so, Alexander’s final analysis in this, our Glorious Age Of [A-]I.P., is prudent and pragmatic. Things Are What They Are. Everything That Is Is What It Is. And That’s Okay.